It can be a really scary experience when your house is infested with bed bugs. Complete eradication of the parasite is extremely difficult and in some cases the bugs infest the entire house and you need to seek a professional pest control service to get out of this situation. 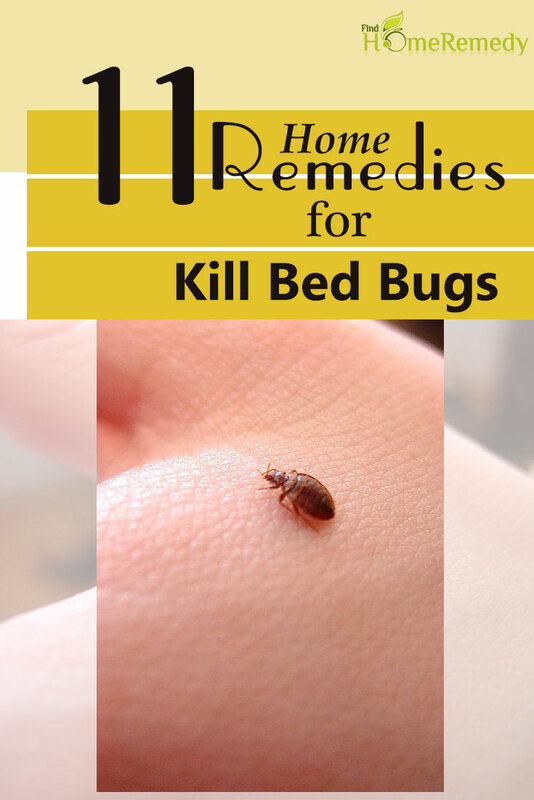 Here are some wonderful home remedies that can be employed as soon as you see bed bugs in your house. This will help control the breeding and take care of the situation before things get out of hand. Vacuum cleaning is one of the best ways by which most of the bugs can be removed in a swish. Vacuuming will trap all the bugs into the suction air and the bugs can be removed or destroyed after this procedure. Vacuuming must be done several times and for several days to be effective. It is also important not to use the areas where you are doing the vacuum treatment during these days. This will help the bugs to starve and die. Avoid using the area for at least a month to ensure that they are destroyed completely. 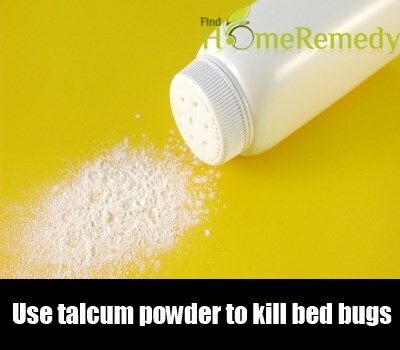 Another safe and simple way to kill the bugs is to sprinkle talcum powder generously on the area so that the bugs will be suffocated to death. This too would require patience and you might have to do the treatment several times for taking care of all the bugs. At this time, you must also ensure that you avoid sleeping in these areas. Baby powder is the best for killing bugs. This naturally occurring powder which is made from water plants that are fossilized, diatomaceous earth contains particles that have very sharp edges and help in killing the bugs and other insects when they come into contact with them. As this powder can be dangerous for your lungs, ensure that you wear a dust mask while you use it. 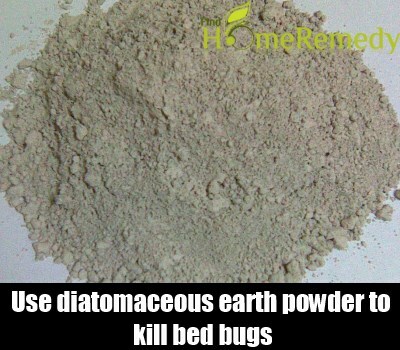 This powder is very effective in controlling as well as treating many insects and pests. The antimicrobial properties of neem will help in eradicating bed bugs effectively. Take a handful of neem leaves and crush them gently. Sprinkle these leaves in areas, which are infected with bed bugs. Spread fresh neem leaves once they turn dry. Neem water can be prepared by adding neem leaves to water and boiling the water for ten minutes. This water can be used for taking bath and treating the infected area of the skin. 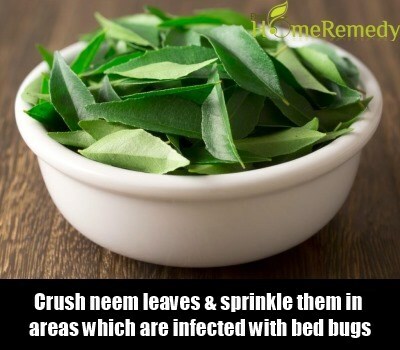 Neem water is also good for taking bath before you are off to sleep as the smell will repel the bed bugs. Bed bugs cannot thrive in hot environments. 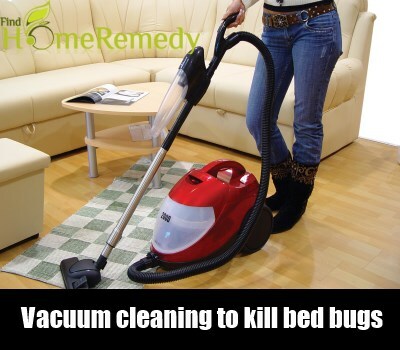 Thus, treating all the upholstery and affected areas with very hot water is beneficial in killing the bugs. Clothes that have been treated with hot water can be ironed as well in high temperature for killing the bugs. Upholstery and furniture can be left under the hot sun to kill the bed bugs and discourage them from further infestation. Just like heat treatment, steam too can kill bed bugs as they cannot tolerate the hot moisture and intense steam. For this, a steam vacuum cleaner can be used. 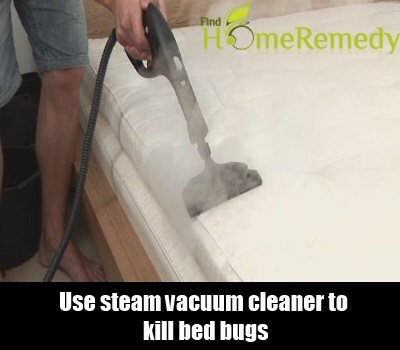 Steaming has to be done several times in order to kill all the bed bugs. Steaming may not be very effective if the bed bug infestation is very intense and has gone deeper than half an inch under your mattress. In such cases, you may try a combination treatment like hot and steam treatment and leaving the affected clothes, upholstery, and furniture under the sun as well. Another way to treat bed bug infestation is to use alcohol on the affected areas. Alcohol has a dehydrating reaction on the eggs of the bugs and destroys them. Sprinkling alcohol on the bugs will kill them instantly. However, the effect of alcohol will remain only when you spray them and not after that. A solution of 70-90% isopropyl can however have a residual effect as well and is better preferred than others. 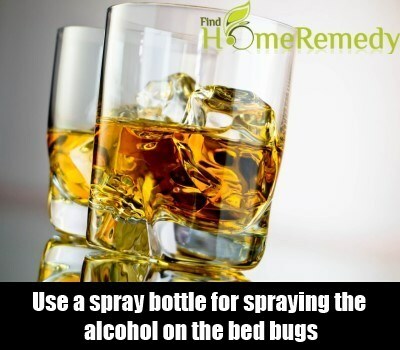 Use a spray bottle for spraying the alcohol on the bed bugs and eggs. This can be a painstaking task, but a very effective one. Bed bugs can also be killed by treating them with extreme cold. During winter season, this becomes an easy task as all the upholstery and furniture can be left outside under the harsh winter climate. Clothes and other smaller items can be left in the freezer for killing the bugs. You can also wash your clothes in very cold water or leave them in water along with ice cubes for killing the bugs. 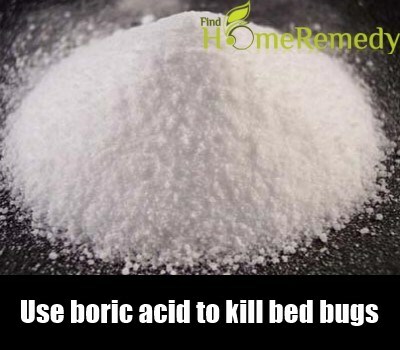 Sprinkling boric acid on areas where there is bed bug infestation is another effective way to kill the bed bugs. However, after the treatment, care has to be taken to ensure that the boric acid powder is thoroughly cleaned from the areas where you reside. It is not recommended to sprinkle boric acid on your upholstery and bed as it will be difficult to remove them completely after the treatment. Thyme oil and smoking thyme are known to repel insects and bed bugs effectively. Thyme sticks can be tied to cotton cloths and burnt near the infected areas of your house and surroundings to repel and expel these insects. 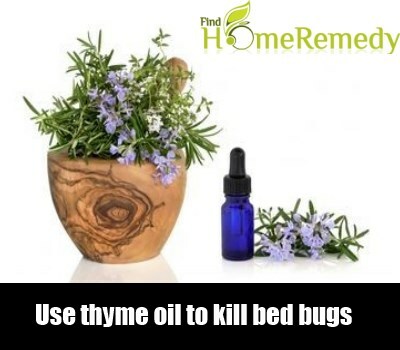 However, thyme is only a repellant and does not actually kill the bed bugs. So it has to be used in conjunction with other home remedies or to just bring the bed bugs out from their hiding places and kill them using alcohol or other methods mentioned above. 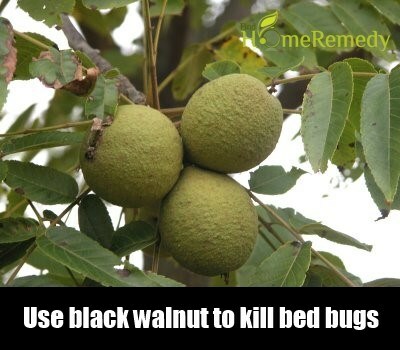 Black walnut too is known to be an effective repellant and insecticide against bed bugs. The dried tea can be used for sprinkling in areas that are infested with the bugs like the closet areas, interior areas and creases of beds etc. This will effectively kill and bring out the bed bugs from their hiding places. Once they are out in the open, it becomes easy to remove them from the areas.